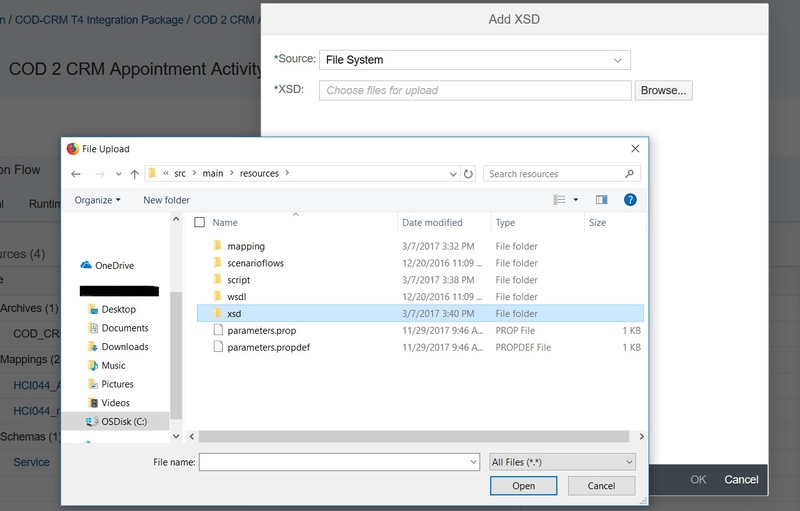 In my previous blog, I shared about the new “Resources” view added in SAP Cloud Platform Integration’s Web Application, where I talked about the actions like download and delete of resources of the integration flow. As the next increment to the “Resources” view, we have now added the possibility to add resources to the integration flow. 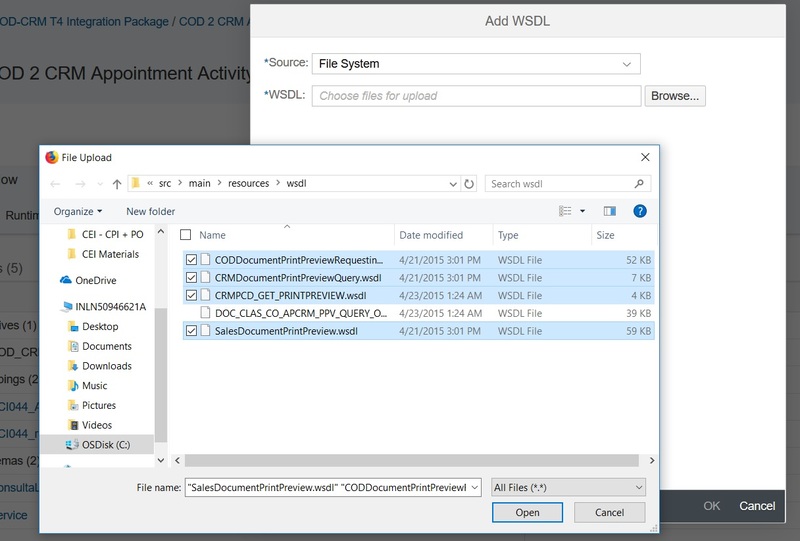 This would allow the integration developers to include resources directly from the file system or copy resources from other integration flows across packages within the same tenant. 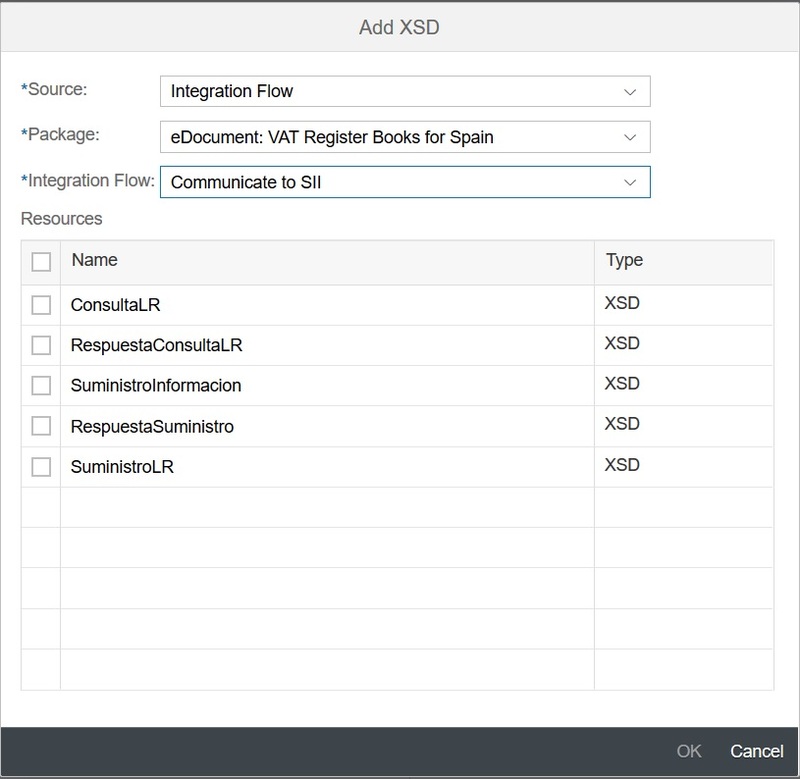 Once a resource is available within your integration flow, you can consume it in a flow-step or an adapter from their respective configuration (or property sheet). This would open up a dialog which gives you an option to choose the source from where you want to pick up the resource, it can be either “File System” or “Integration Flow”. 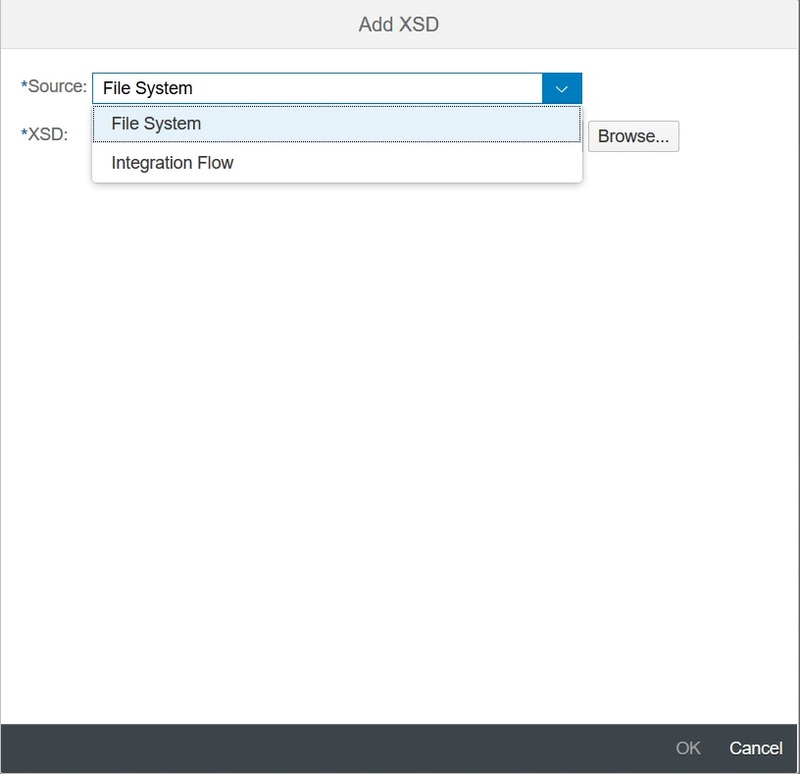 If you choose the “File System” as the source, then you can click on the “Browse” to select the respective type of resource you want to add into your integration flow. You can also add multiple resources of the same type from the file system by selecting them all and adding them together. If you choose the “Integration Flow” as the source, you need to first select the package and then find the integration flow from where you want to copy the resources. 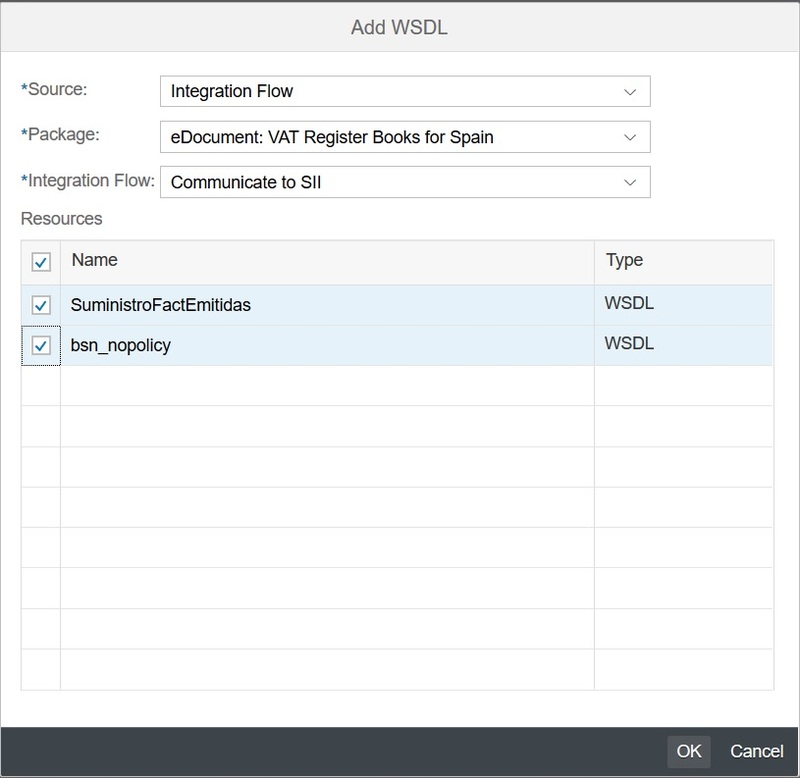 The package and integration flow selection drop down also supports filtering which can be used to search for a particular package or integration flow. Just start typing the package or integration flow name and the list will be filtered accordingly. This filter comes in handy in case you have too many packages or integration flows in your tenant. You can also add multiple resources of the same type from an integration flow by selecting them all and adding them together. 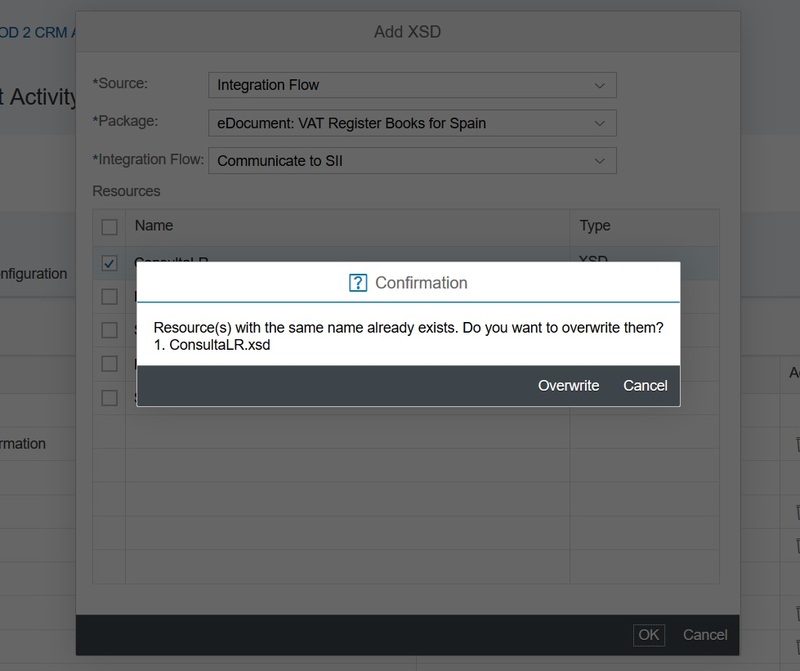 While adding resources either from file system or from an integration flow, if the your integration flow already contains resource of the same type and same name, then there is a confirmation dialog shown which lists all the conflicts and gives you an option to either overwrite them or cancel the add operation. Every resource that is added in the integration flow via the “Resources” view is a copy of resource and not a reference of a resource, which means that any changes made to the resource within your integration flow doesn’t impact the resource with the same name in other integration flows. In the forth coming increments, we would be supporting adding of message mapping and operation mappings as well from the “Resources” view. Hope this blog was useful and helps you consume the “Add” of resources in the Web.